Is Netflix, Inc. (NFLX) a Good Stock to Buy? We started seeing tectonic shifts in the market during the third quarter. Small-cap stocks underperformed the large-cap stocks by more than 10 percentage points between the end of June 2015 and the end of June 2016. A mean reversion in trends bumped small-cap stocks’ return to almost 9% in Q3, outperforming their large-cap peers by 5 percentage points. The momentum in small-cap space hasn’t subsided during this quarter either. Small-cap stocks beat large-cap stocks by another 5 percentage points during the first seven weeks of this quarter. Hedge funds and institutional investors tracked by Insider Monkey usually invest a disproportionate amount of their portfolios in smaller cap stocks. We have been receiving indications that hedge funds were boosting their overall exposure and this is one of the factors behind the recent movements in major indices. 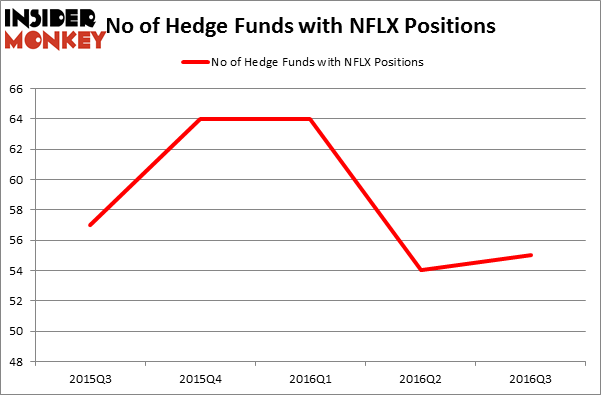 In this article, we will take a closer look at hedge fund sentiment towards Netflix, Inc. (NASDAQ:NFLX). So, is Netflix, Inc. (NASDAQ:NFLX) a buy here? During the third quarter, the number of funds from the Insider Monkey database bullish on the stock inched up by one and there were 55 investors holding shares of the company at the end of September. However, to get a better sense of the company’s popularity, we will also compare NFLX to other stocks, including Sumitomo Mitsui Financial Grp, Inc. (ADR) (NYSE:SMFG), and Halliburton Company (NYSE:HAL), at the end of this article. Keeping this in mind, let’s review the fresh action regarding Netflix, Inc. (NASDAQ:NFLX). 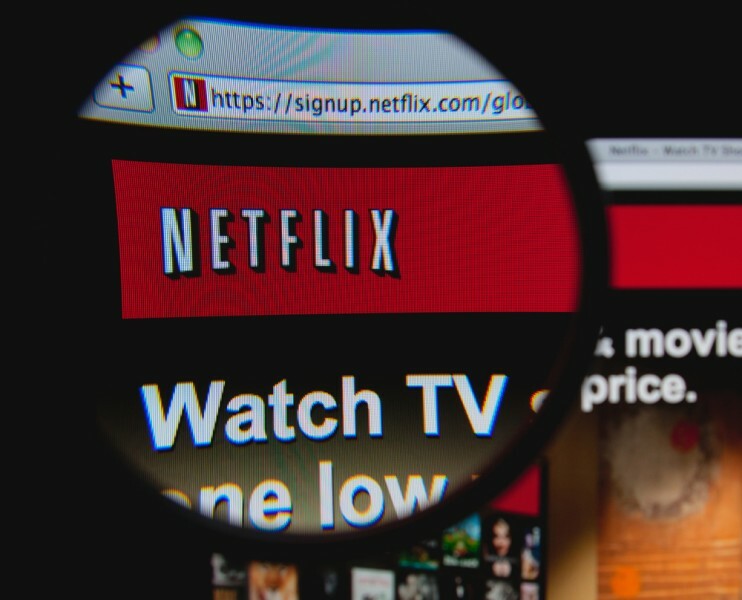 How have hedgies been trading Netflix, Inc. (NASDAQ:NFLX)? Heading into the fourth quarter of 2016, 55 investors tracked by Insider Monkey were long Netflix, up by 2% from one quarter earlier. With hedge funds’ capital changing hands, there exists a few noteworthy hedge fund managers who were boosting their holdings significantly (or already accumulated large positions). According to publicly available hedge fund and institutional investor holdings data compiled by Insider Monkey, Karthik Sarma’s SRS Investment Management has the biggest position in Netflix, Inc. (NASDAQ:NFLX), worth close to $1.01 billion, comprising 26.5% of its total 13F portfolio. The second largest stake is held by Philippe Laffont’s Coatue Management, with a $467.6 million position; the fund has 5.7% of its 13F portfolio invested in the stock. Some other professional money managers with similar optimism encompass David Goel and Paul Ferri’s Matrix Capital Management, Andreas Halvorsen’s Viking Global and Matt Sirovich and Jeremy Mindich’s Scopia Capital.